Kentish rag stone is a cream colloured limestone that occurs in Kent. It varies considerably in character, and usually used as squared rubble or a rubble stone. Kentish Ragstone has been used historically as an attractive and functional building stone for a variety of ecclesiastical, restoration, conservation and new build projects across London and the South East. Gallagher is the last remaining company still actively quarrying Kentish Ragstone. 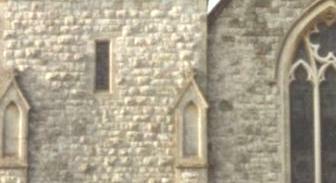 At its Hermitage Quarry near Maidstone, Kent, it is able to produce dimensional Kentish Ragstone. With its experienced team along with modern machinery and facilities, Gallagher is able to supply stone to suit all requirements enhancing the benefits of matching repairs to historical buildings and new build projects, upholding and maintaining the unique local character of southern England’s historic architecture.